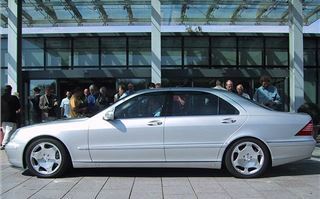 I’m not going to pretend that Mercedes 2003 W220 S600 presidential limousine is faster than a speeding bullet. (I suggest the armour plated version if this is a worry). But I can tell you from personal experience it will see off any other large saloon car full of bad guys. There I was being driven by the esteemed motoring correspondent of The Daily Star when we became aware of a big, mafia black motor in our rear view mirror. “Lose ‘em,” I suggested, and nudged the gear lever over to the left a couple of times to select second. Starman floored it, there was a thump from the transmission and, before you could say “three hundred and sixty eight kilowatts equals five hundred pferdestarke”, the chase car had disappeared in our wake and our speedo needle was touching 260kph. 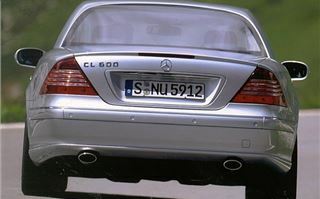 In fact, that’s all an S Class speedo will show, because the cars are electronically limited to an official 250kph. Unlimited, this 2,135kg 500ps car with 800Nm torque would be capable of at least 290kph. It drags itself from 0-100kph in just 4.8 seconds. 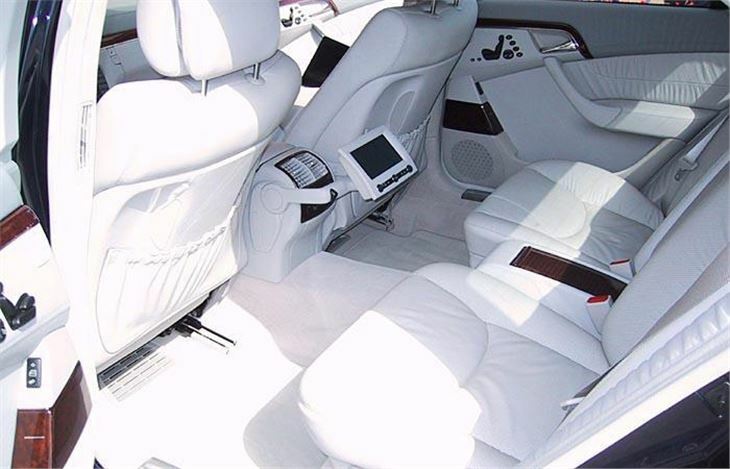 Yet it has a back seat big enough to hold a party, complete with its own TV screen. Starman’s ball behind the wheel of the S600 ended in the mountains where I took over and got the job of checking out its handling. The word ‘incredible’ springs to mind. Possibly even better than the smaller, lighter E500, which I reckoned set new standards earlier this year. And that’s thanks to a new active suspension system, fitted only to the S600, which lifts it out of the league of mere mortal saloons and into supercar territory. You find yourself turning into bends at 180kph with complete confidence. There’s no slop or wallow. You feel in total control, which you never quite did in the previous S Class Mercs. At first I couldn’t believe the rock-hard ride. Then I realised that someone had set the AirMATIC suspension to ‘solid’. Reasoning that in the wet soft is best, that’s what I switched it to and the ride quality instantly transformed to magic-carpet. The engine and transmission were equally limo-like, and almost inaudible until we reached the Black Forest when I got the hammer down. Despite just 306bhp, this V8 really snarls when you give it some welly. 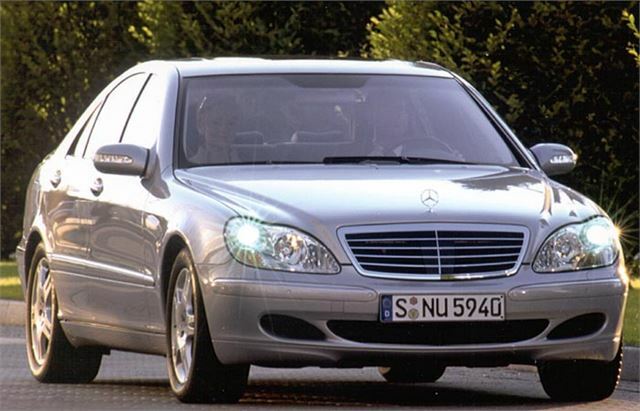 And, though well below the performance level of the S600, the S500 4-Matic is still a seriously quick car. Especially on long, wet mountain road corners. I won’t say it sticks like glue. That would be exaggerating. But it does turn in, get the power down and grip through the bends so sure-footedly, you find yourself pushing it and the car to limits you’d never have dared approach in most other cars this side of an EVO VII. 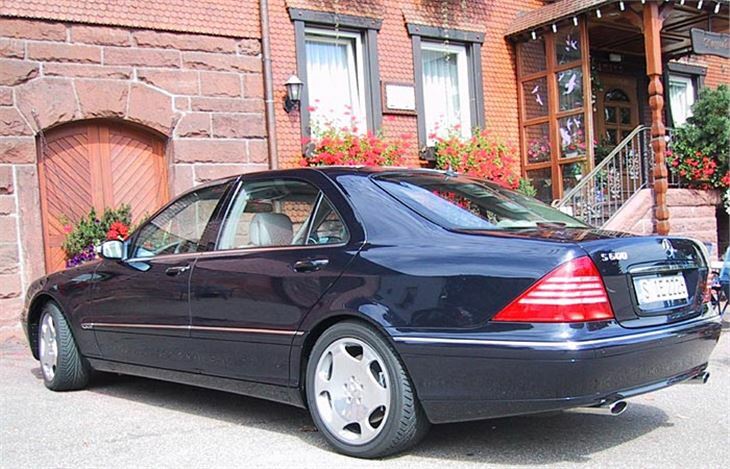 And that’s the point to be made about the S500 4-Matic. It’s the safest, quickest real-world luxury car you can get your hands on. Sure it would be beaten for dead on any race circuit, except, perhaps, a wet Nurburgring. But I’d have rather been in it than in anything else on that Black Forest drive. All too soon we arrived at the lunch stop and a chance to briefly sample the new 500ps CL600. 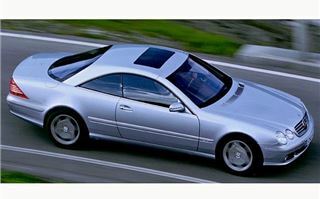 If you take everything I wrote about the performance of the S600, then apply it to a beautiful looking, lower, lighter coupe you’ll start to get the picture. This car is a lady when you want it to be, and an animal when you don’t. Find a straight bit of road, tip the box to second then floor it and you get thumped hard in the back. It’s actually faster than a Ferrari 456. It also handles beautifully, looks stunning, and makes you feel like a king. While presidents may be confined to the back seats of S600s, kings actually get to drive their CL600s. Two major specification improvements are standard across the 2003 S Class range: Pre-Safe and COMAND. Pre-Safe is a system which can detect when an accident is about to occur. Using the car’s ESP® (electronic stability program) and BAS (brake assist) sensors, Pre-Safe pre-tensions the front seat belts, closes the electric sunroof, and repositions the passenger seats to better-protect the occupants in the event of an impact. If no accident occurs, the system resets itself. It’s the first time a significant re-usable safety system has been fitted to a road car. The system was demonstrated in three different accident scenarios: the crash stop; the oversteer accident; and the understeer accident. Since the seat was reclined to a sleeping position for the last of these I closed my eyes to better stimulate a real life experience. Sure there was a sudden lurch of the car that would have woken the dead. But the seat went upright, the sunroof closed and the seatbelt grabbed me so I didn’t get flung about at all. If I’m ever going to be a passenger in an accident, please let it happen in a new S Class. COMAND is the familiar Mercedes Cockpit Management and Navigation Display System. 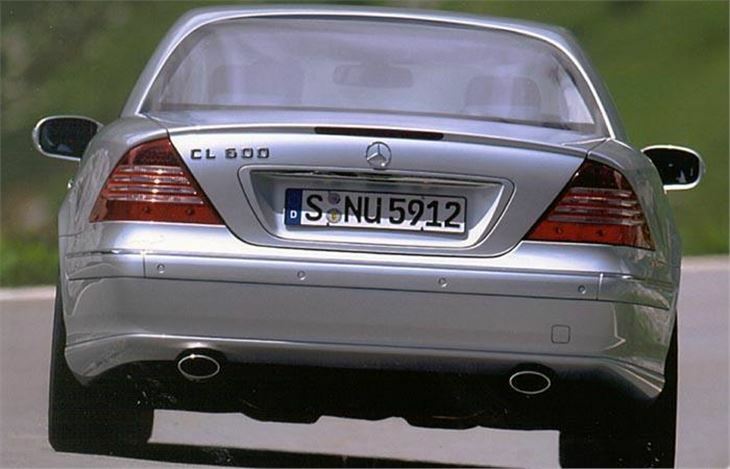 Combining a new wide-screen GPS satellite navigation and a revised audio system (with the option of a television tuner), COMAND was previously only standard on the S500 and above. Now it’s standard across the range and, combined with Pre-Safe, helps to justify the small price increases. 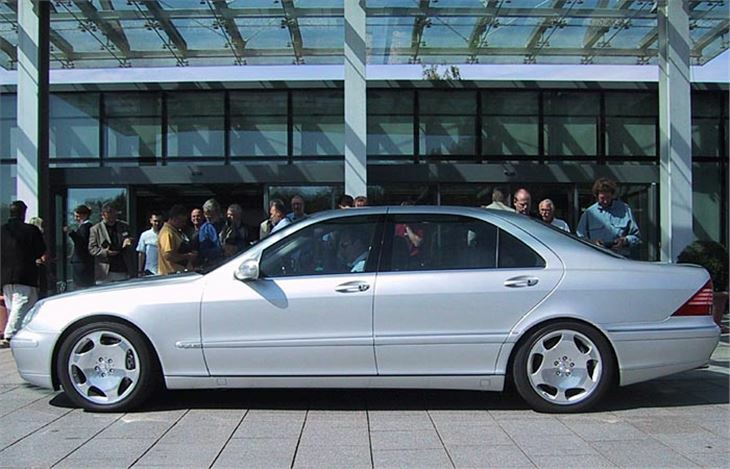 Other revisions for 2003 include subtle styling changes. The headlight lenses are now clear polycarbonate. The rear lights have clear horizontal lines across. The bumpers and grilles are subtly changed. And the quality of interior trim has been upgraded. Under the bonnets, in addition to the S600 V12, and S500 V8 there is a new 3.7 litre S350 V6 petrol engine, a more powerful 320 straight six diesel, a 400 V8 diesel (left-hand drive only) and, coming soon, a S55 AMG V8 offering a ‘sportier’ 500ps from the S600 V12, but 100NM less torque. The S280 and S320 engines continue as before.